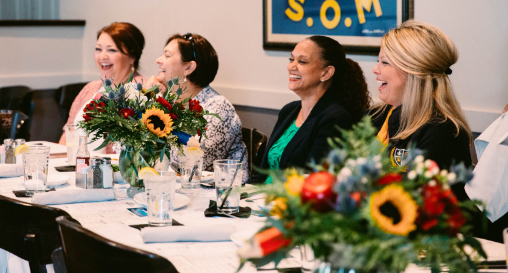 What began as Love Acadiana’s desire to help local schools with interior and exterior improvements in the summer of 2018 has grown into an incredible outpouring of love and support from local and national organizations. 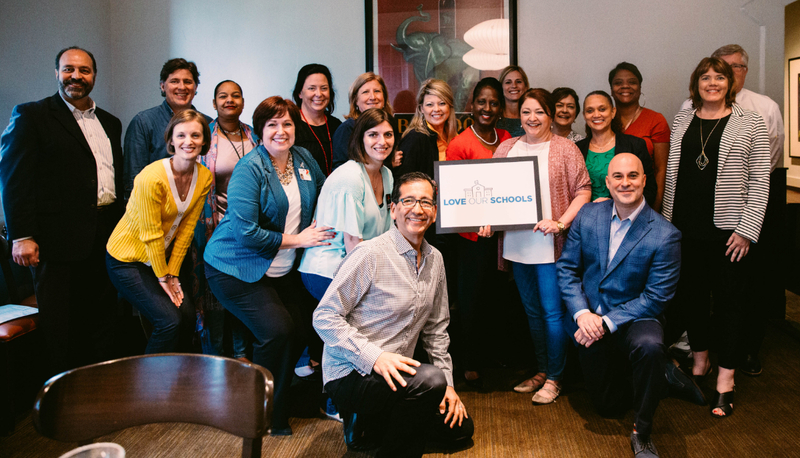 Following the success of Serve Day 2018, Love Acadiana and the William C. Schumacher Family Foundation joined forces in 2019 and have renamed the initiative “Love Our Schools,” in cooperation with Lafayette Parish School System. During a special luncheon for the principals, Ryan R. Domengeaux, the CEO and General Counselor of the William C. Schumacher Family Foundation, shared a powerful message that brought tears of joy and a standing ovation. Beyond improvements to the campuses, more than 5,000 students will receive backpacks filled with school supplies, and nearly 600 faculty and staff members will be gifted with much needed supplies. Created for the purpose of affecting meaningful change, this initiative aims to help foster improved educational outcomes. One of the greatest causes a community can support is the betterment of children’s education and the environment in which it is provided. Inspiration and encouragement for students, faculty and staff at every school are necessities for ensuring a bright future for our youth. With thousands of volunteers already secured, the greatest need now for a successful Love Our Schools initiative is donations. Being able to raise awareness of the need to support the Lafayette Parish School System is crucial in securing the funds that are necessary to carry out the Love Our Schools initiative. This is an opportunity for individuals and private businesses alike to be a part of a pivotal change in our community, providing the funds necessary to empower our students, faculty and staff and to show them that people care. Love Our Schools provides public and private organizations with the unique opportunity to collaborate in supporting our schools. Hear an inspiring message from Lakesha Miller, the Transformation Zone Office with the Lafayette Parish School System.